When it comes to supporting cyclists or cycling teams, I’ve never been particularly motivated by patriotism. Exciting riding styles, strong teams or the ability to dethrone a rider I dislike have always been the major factors in choosing who I support. Except it now turns out that my lack of patriotism has merely been down to the lack of a strong British/Kenyan-British contender. Like every cycling fan, the performances of Wiggins and Froome over the last three weeks had me gripped. 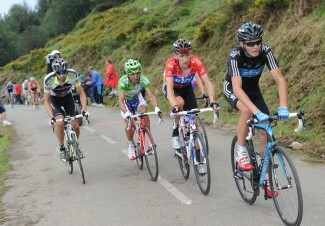 Froome’s attack on Pena Cabarga made me shout myself hoarse. As hope faded over the final week that either man could retake the jersey from JJ Cobo I engaged in ever more convoluted and far-fetched imaginings as I tried to figure out where the Sky pair could get another 13 seconds with fewer and fewer climbs available. In my head, Sky one-twos put Cobo under pressure even on the flat. I knew it would never happen, but my newfound need for a patriotic win saw the borders of sporting credibility stretched like an old sweater. Of course, I was far from the only one to become obsessed with the Sky duo, it seemed like every British cycling fan was paying close attention. Unfortunately it seemed like at least half of them were in the same camp as Twitter’s FestinaGirl, who said of Froome: “shame Sky didn’t appreciate his right to wear the Red Jersey when he had it” among many other pointed comments about Sky’s decision to throw all their weight behind Wiggins even when Froome was in 2nd position overall. The question occurred time and again on cycling related forums: where would Froome be if he didn’t have to work for Wiggins? My answer to that is that he’d probably have been somewhere in the top twenty. Don’t get me wrong, over the whole three weeks Froome was the stronger of the two Sky men, and by the end of the race was riding in a delightfully aggressive fashion, but it was Wiggins who rode like a team leader, and Wiggins who rode like a race favourite. It was Wiggins riding in the front two and marking the favourites on Sierra Nevada. It was Wiggins deciding who to leave and who to chase. When the Sky pair chased down Dan Martin and defending champion Vincenzo Nibali on La Covatilla it was Wiggins who assumed leadership of the group, moving to the front and sustaining a pace that burned off Rodriguez, Scarponi and Nieve, and made sure that Nibali couldn’t escape a second time. Did Chris Froome help his team leader do all this? Of course, but thats what mountain domestiques do. They drag their leader up to the front group on the mountains. Once they’re there, however, it’s the leader who rides with his head up, bossing the field, setting the pace and attacking the weak. That’s what Wiggins did. Froome’s reputation before this Vuelta was that of a strong climber with limited tactical nous, a penchant for crazy attacks, and a bad habit of positioning himself at the back of the bunch. If he’d ridden his own race, as half the internet seemed to have wished, he’d have flared brightly and then been left to slip down the rankings long before the race reached the Angliru. Riding Wiggins into the lead is what taught Froome to ride at the front. Sticking with his savvy leader in the mountains is what taught him self-control. He added his own tremendously exciting attacking style to that, tear-arseing out of the bunch in pursuit of bonus seconds or gaps, but the Froome who finished the Vuelta in second place was not a podium rider who’d been held back all race, he was a domestique who’d been remade over the course of it. Personally, I can’t wait to see what he does next, but for those of you who’d rather he’d bucked the team hierarchy, ridden selfishly and battled his own teammates, may I suggest you watch the Italian team at the Worlds next week?